I don’t know why, I am seeing YA (Young Adult) books everywhere. 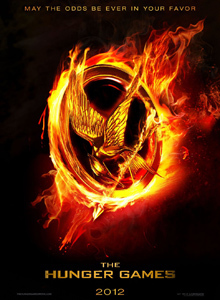 This trend was started by the Twilight series and then The Hunger Games saga propelled it forward. Practically every writer I meet online is writing YA: Paranormal, Urban Fantasy, Dystopian, (which is the current rage), Sci-fi, Mythology, Speculative and Steam punk. I am wondering what makes a writer choose to write for the young adult audience? Is it because such books are selling like hot cakes, a case of give the publishing market what is the current flavour of the month. Is it because of the need or call of the story? As a writer I can completely understand that. I mean no offence to the YA writers. Most of my writing friends write YA. Many of the YA books I have come across are being made into movies (Under the Never Sky, Divergent, Legend, Matched, Chaos Walking Trilogy, Shatter Me, Delirium, Uglies). It’s a good sign for us writers. I have also seen that agents who were not accessible to writers for the younger audiences are now throwing their doors open for the YA and select MG books. Everyone wants to cash in on this trend. I personally love theYA books (though I have not read that many). Maybe in future I may even write one such book myself. But, that will be in the distant future. What do you all think of the YA trend? Is it here to stay? What according to you all is the lure of the YA books? Have you all read many such books? Which are your favourite YA books? I would love to know how many of my Blog Buddies write YA. For the others like me who don’t write YA, are you even remotely tempted? What’s your take on it? Why is it important to write more than one book? A few years back when I had around three books (a MG book and 2 collection of linked stories) to shop around to Indian publishers, I was slightly hassled thinking that I have 3 unpublished books lying around, not to mention another earlier one which I had given up on and another one which I had left halfway. When I started blogging two years back, I realized that writers all over the world have written plenty of books before they get lucky. There are very few writers who strike it lucky with the first book they write. I am wondering whether we can call all our unpublished books our practice books. Afterall, we do need to practice our writing, hone our craft and skills on something before we unleash our stories to the world. And last September when I started querying, I read on many agents’ websites that they wanted to know what else the writer has written. 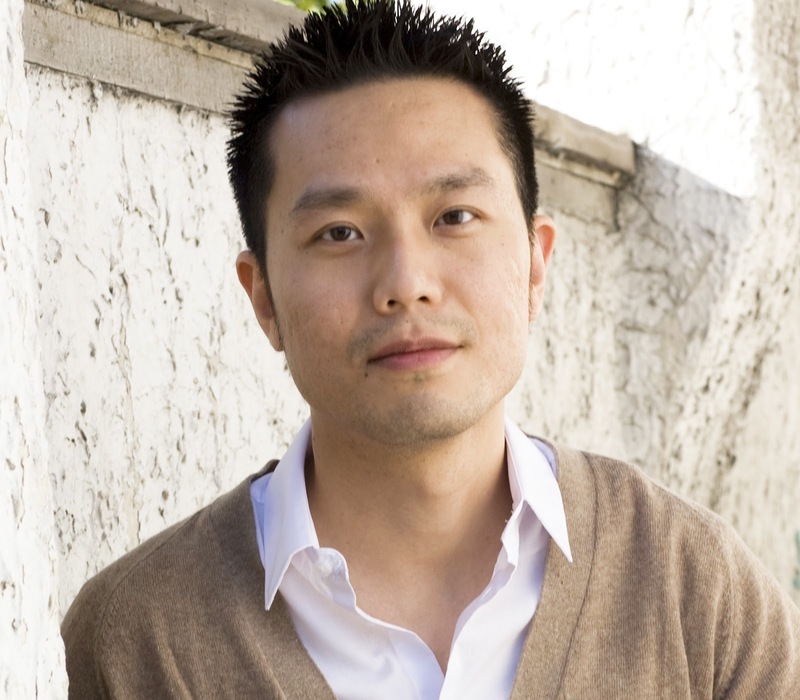 No agent wants a writer who may just write one book and then do the disappearing act. Agents have reiterated time and again that they are investing in a writer’s career and not just one book. Even for writers it’s advantageous to keep writing different stories and trying various themes to see what they are good at. And then there is always the advantage that we can always return to our previously unpublished work and rewrite it with our newly acquired skills and submit it after we feel it’s in a polished state. What do you all feel about writers writing more than one book before they are ready for publishing? 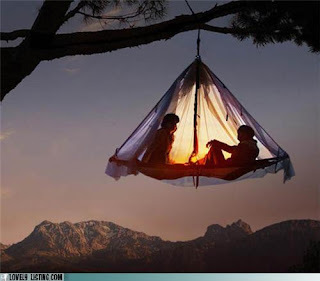 What is your personal take on this? Do you think the earlier books can be categorized as practice books? How many books did you write before you were ready for publishing? I would love to know all your opinions about this. 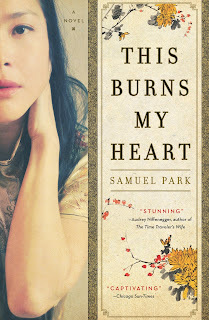 The winner of Samuel Park's book This Burns my Heart is Kristen Wixted. I will get in touch with you regarding the prize. I am excited to have Samuel, a good friend and also one of my earliest blog buddies on my blog today. 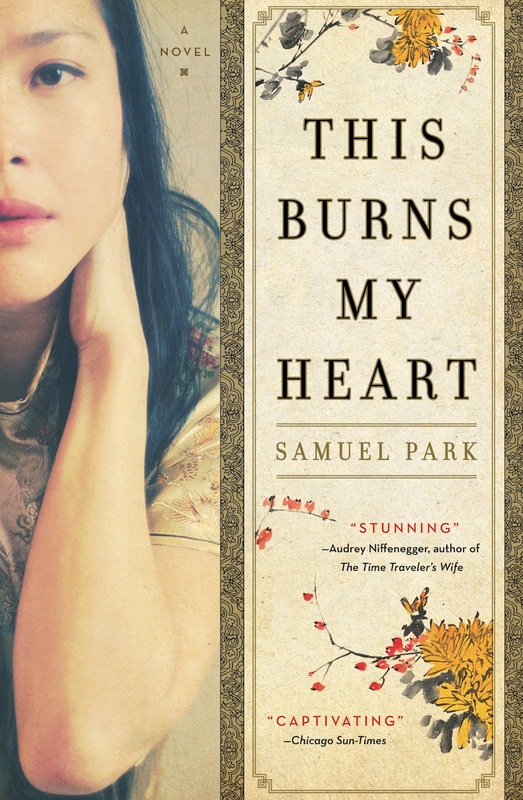 Samuel’s debut novel ‘This Burns my Heart’ has been collecting rave reviews. Thanks, Rachna, for hosting me on your blog. It’s a pleasure to be here! You asked me to do a guest post on any writing-related topic, so I decided to write about something that I’d often struggled with in the past: Writing the Antagonist. Now, I’m using the word “antagonist” as opposed to villain since villain implies a certain set of moustache-twirling qualities, and a book doesn’t necessarily need that—the antagonist just happens to be someone, good or bad, who wants the opposite of what the heroine does. In my book This Burns My Heart, the antagonist is the machiavellian Eun-Mee. Vain and selfish, she competes with the book’s heroine—Soo-Ja—for the heart of the doctor Yul Kim. And Eun-Mee is fiercely protective of her turf, doing everything she can to keep Yul and Soo-Ja from rekindling their old love. Interestingly, a lot of people tell me that Eun-Mee is their favorite character in the book, even though she is quite a piece of work! She plots, schemes, lies, and does it all with a smile and a wink. She was also enormous fun to write, because she often says outrageous things, and she drives much of the plot. Be Evil, But Be Deliciously Evil. Eun-Mee says something horrible things in the book, but they’re always said with a great amount of humor. Readers forgive a lot from a character when they make them laugh. If Eun-Mee were serious all the time, I think she’d be very hard to take. Wit can be an antagonist’s best friend. Why Be Good When You Can Be Right? When we look at things from our perspective, we’re always right, aren’t we? It’s always the other person who cut us off on the freeway. The other person who took what belonged to us. But that other person is probably thinking the exact same thing about us. And I think that’s how it is in a book, too. 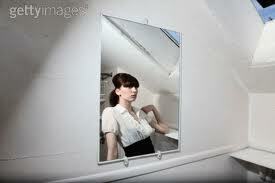 If the antagonist were telling the story from her point of view, could she pull off being the heroine of the story? In my opinion, I think the answer should be Yes. From Eun-Mee’s perspective, Soo-Ja is essentially the “mistress” character, a potential home-wrecker out to destroy Eun-Mee’s marriage with Yul. Of course Eun-Mee does everything in her power to fight Soo-Ja off! In other words, a good antagonist doesn’t act out of unexplained cruelty, but from self-interest and need. Move Over, I’ve Got Places to Go! Worse than a passive protagonist is a passive antagonist. The antagonist is often the character who sets things in motion, and who forces the protagonist to act. In my novel, Eun-Mee keeps getting in Soo-Ja’s way. She invites herself to events so she can sabotage Soo-Ja. She brings Soo-Ja to her gorgeous house in an attempt to intimidate her (with terrible results). A good antagonist is someone who has an exaggerated sense of her own power. She does not hesitate in attacking, hurting, or charging forward, because she is so sure of a positive outcome. One way to make an antagonist feel three-dimensional is to convey a variety of emotions. Eun-Mee may be vicious to the heroine, but she has moments of great vulnerability. She acts out of fear, and deep down, is terrified of losing her husband. That makes her seem human, and allows people to empathize with her. Thanks again, Rachna, for hosting me on your blog. I wish the best of luck to those who are entering the giveaway! It has been a pleasure hosting Samuel. We all wish him lots of publishing success. The giveaway is open to only my American followers (as per the publisher’s request). All my followers in the U.S are eligible to win the giveaway (a copy of Samuel’s book). All you have to do is leave a comment, I will announce the winner on Tuesday 27th March. Here is a treat for you all. Watch Samuel's amazing book trailer. Samuel's book is available on Amazon, Barnes and Noble, iBookstore and IndieBound. The next stop on Samuel's blog tour is Sierra Godfrey's Blog on Monday 26th March. Do our Personal Beliefs Colour our Stories? I have realized that most of my personal beliefs (the values I have been taught from childhood) affects my writing in a big way. Whatever values have been inculcated in me colours my characters and impacts my stories. It’s scary because my sense of right and wrong has always been very strong right from childhood. The one and only time I lied to my mother as a child, I was awake the entire night with guilt. The next morning I sat outside her bedroom and the moment she emerged I confessed the truth and was engulfed in a tight hug. The reason I use the word scary is because as I write Middle Grade fiction, I need to add gallons of naughtiness and spice in my stories. No child will like reading stories about good kids who drink their glass of milk, eat spinach, obey their elders, do their homework on time. Children will find these kids pretty boring. I do create naughty characters, but I have noticed that even these characters of mine have their intrinsic good qualities. I became aware of this when toying with the idea of my protagonist Rahul, the MC of my Paranormal Middle Grade Trilogy who develops the ability to do Spirit Magic decides not to use magic to excel in his maths exams. This would be something I personally would have done. If it came down to a choice, I would have preferred failing than using my new found magic abilities to pass an exam. I don’t know why I made that decision for my character. Not as a writer, but as a person. When I realized this, it made me a bit worried. Should I have let my character Rahul decide whether he needed to use magic to pass an exam and make his parents proud. Rahul’s low marks always get him into trouble at home. This was a perfect opportunity for him to shine in his father’s eyes. Why did the writer in me not grab that opportunity? I am wondering why did I make that decision for Rahul? Does this happen to you? Have you made decisions for your characters? Have you let your personal beliefs cloud your writer’s or story telling decisions? How do you balance between your own beliefs and the need of the writing hour? Any advice for me? 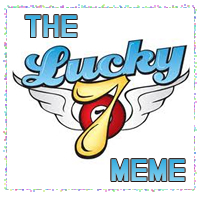 Today’s post is a part of the Lucky 7 Meme tag. I was tagged by Alexia. I thought it would be fun to play along. 1. Go to page 77 of your current MS, WIP. 3. Copy down the next 7 lines, sentences or paragraphs and post them as they are written. Here is my snippet from my MG paranormal fiction ‘The Soreiquil’. It’s the first draft, so please overlook the grammar and everything else. The Cockroach Invasion Episode had unnerved Rahul. He had promised himself that he would control his temper. Magic escaping from his body was creating havoc. Four days later, during art class, Rahul’s pencil tip broke. He lifted the gold pencil lying in his pencil box. The Art teacher, Miss Lila, was nicknamed The Barbie Doll by students. She had graduated out of Art College few months back. Dressed in a long black skirt and a loose dark blue blouse, her high heels adding inches to her tall frame, Miss Lila moved between rows distributing the previous session’s drawings. Rahul stared at Ziko. The ghost’s body was barely visible in the harsh sunlight streaming through the window. “It’s okay. You can use the pencil,” Ziko smiled. Pencil shavings dropped into Rahul’s lap as he rolled the pencil’s head inside the sharpener. Sweeping the shavings off his lap, he tested the tip. It was sharp and firm. Through the telepathic link connecting them, Ziko heard Rahul mutter the Devito spell. “Oh shucks…” Ziko frowned. The Devito spell was the wrong one. It would further ruin Rahul’s pathetic drawing skills. Catching a glimpse of Rahul’s sketch, Ziko grimaced. Rahul had not inherited his mother’s artistic talent. The elf on the board had a pointed face, Rahul’s elf had a face as round as an orange. Miss Lila’s elf- figure had large and pointed ears, Rahul’s elf had tiny, square shaped ears. 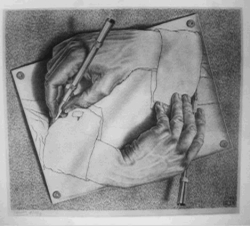 The Devito spell had made a mockery of Rahul’s drawing. I hope the 7 Authors will share snippets from their manuscripts. Have a lovely weekend friends and do let me know what you think of my snippet. As I am approaching my second blogoversary, I am going through heavy bouts of nostalgia. I clearly remember my first post and my first follower and also the first comment. I was gripped by fear at that time. Would anyone want to follow me? What would I blog about? All that is a thing of the past. I have gathered 304 friends and blog buddies. I have made good writing friends who have encouraged and supported me in my writing journey. I have got to know quite a few of you well. But, I would like to get to know you all better. There is no writing related post today. This post is about you all and me. I am eager to know all about each and every blog buddy of mine. I will start with myself. I graduated with a degree in Psychology, Literature and Journalism. I have been writing for many Indian newspapers for more than a decade. 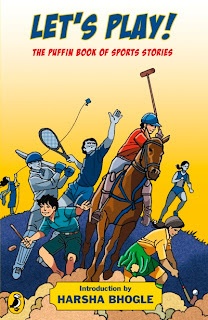 From the past two years I have been teaching creative writing in Mount Carmel College. I write Middle Grade Fiction ( for ages 8 to 14). My initial lot of books were for the younger readers. Now, I concentrate just on MG fiction. In future I would love to explore the YA territory. I used to have major stage fright. But, teaching college girls has got rid of it. I love reading, watching movies and going out with friends. I have a mortal fear of snakes, dogs and lizards. I am a complete fitness freak. Though I love junk food, I also relish my health food. I am always ready for ice-creams. I love going for long walks. Jogging and yoga are my stress busters. I also suffer from CGS ( Continuous Giggle Syndrome). When I am in the company of my elder sister and nieces I can spend the entire day laughing. I am also a complete chatterbox. I can talk for hours. I am extremely attached to my parents and spiritual master. I look for honesty in my equation with people. Hypocrisy is a huge turn off. For me the honest approach works every time. I am a huge believer in clearing misunderstandings. I have a soft heart. I go out of my way to help people in trouble. Many times I have got into trouble because of this habit. I am also a huge worry wart. I tend to get anxious a lot. You can always bribe me with chocolates. I am absolutely touched by selfless and warm gestures. My singing can drive people nuts. I don’t even sing in the bathroom nowadays. I am also into meditation. Quite a bit of my inspiration pops up during my meditation sessions. I am very fond of writing short stories. I have written and published over 60 short stories. 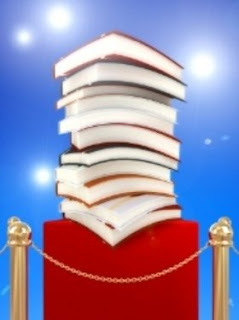 My dream is to have my books published globally, to get an agent and perhaps see a movie adaptation of one of my books. Quite small dreams, right? Now, I would like to know all about you all? What do you all do? What kind of books do you all write, your hobbies and passions. Everything about you all interests me. So, go ahead. Tell me all about yourselves. Let me get to know you all better. Why its Important to Critique another Writer’s Work? Two years back, I critiqued a lot of picture books and short stories for my online writing friends. Actually I nearly ended up rewriting a few short stories. The person whose story I rewrote was pretty cool about it. Thank God for that. Else, I would have had an angry writer chasing me with her sharp pen. Initially scared, as I had no belief in my critiquing abilities, I hesitantly agreed to the job. But once I started, I realized that critiquing was something I enjoyed doing. As they were short stories, they got done fast. For one I love reading and the second point is it’s easier to get critical with someone else’s work as there is a distance involved and it’s easier to be objective about it. My critiquing abilities sharpened when I started teaching in college two years back. Reading my students’ home as well as class assignments has helped me analyze someone’s else’s work better. When I correct their mistakes, I return home and look at my own mistakes. It’s easier to spot my mistakes after critiquing someone else’s work. I feel critiquing is the best way to improve one’s own craft. When we see what is not working in another person’s story makes us more alert to things that will slow down our own stories. It makes us more aware of the mistakes that stand out in our manuscripts, errors that our crit partners will be looking for. And then ofcourse there is the good Karma involved when we help someone. We not just acquire a grateful friend, we also acquire a life-long supporter who will help us improve our craft through the easiest way involved by reading. Reading someone else’s manuscript is one of the best, fastest and also the most effective way of becoming a better writer. So, it’s a win-win situation for all of us. What have you all learnt through critiquing someone else’s work? Have you felt that it has improved your own writing abilities? What’s your take on it? How much should we believe in Book Reviews? Two days back, while googling myself (No, I am not a self absorbed writer. 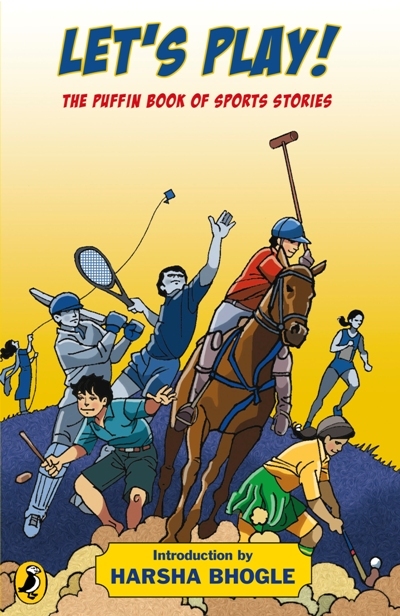 I have been told by my mentor that writers should often run their names through the search engines to see what the internet coughs up in their names) I came across a book review of an anthology of sports short stories brought out by Penguin India last year, in which I had contributed a short story. The review was on GoodReads. I was quite amused to see the lone review. The generous reviewer had given the anthology a rating of 2 stars and a single sentence review. "Almost every single story should have been sent back for a rewrite.” The single sentence review made me burst out into laughter. For a change I was neither offended, hurt or insulted. It was nothing personal. The reviewer was disdainful towards the entire collection and not just one single short story. The reviewer’s message “ I'd prefer not to engage in a discussion with an author of something I critique,” made me laugh some more. I feel she or he was scared of a backleash from the 10 contributors. As many of us (Indians) are not on Goodreads, I am sure the book review and the 2 star rating may not have been seen by the 10 writers. I came across that review quite by accident. I wonder why people say such silly things. What are they trying to prove? A good review would have mentioned each story by name and then passed a judgement on each story and not made a general derogatory comment. Or the reviewer could have named the stories that merited a rewrite in her opinion, instead of running down the entire collection. I am sure that anyone who would have read that review would have shuddered at the prospect of buying a book that merited just a single line review. We writers know well that our stories and books may not find a universal appeal and we are well prepared for it. We personally may not have liked all the stories we have read. So it’s no big deal if we have our fair share of detractors. What do you feel about such reviews? Shouldn’t the reviewer have mentioned the stories that deserved to be rewritten instead of writing off the entire collection? What would you have done in my place? I would love to know all your opinions. We writers are constantly facing fear. The ugly monster of fear is a perpetual pressure in a writer’s life. These fears hound us from the time we chose a topic or decide on a story. Even after we finish writing fears continue to accost us. I have always felt that these fears are obstacles and road blocks thrown along our paths by forces unknown to us, to test our mettle, to firm our sometimes weakening determination and to strengthen our resolve to stick to the path chosen by us. Fear of choosing the wrong subject. A subject that will just not interest the readers, agents and editors. This is one of my biggest fears. Fear of not doing justice to it by way of plot, characters, dialogues, setting and resolution. Fear of not having sufficient time to devote to the manuscript. Fear of not being able to complete the book. Many times half way through writing we realize that certain elements are just not gelling. Should I shelve the book, or rewrite? Fear of not getting an agent. It’s a fear that has gripped me now in a big way. Fear of the book not finding any home (publishing house) even though the agent is on board. (That is my biggest fear). Once I overcome no.5, I will be caught by this fear. Fear of the editor chopping parts that we considered crucial or important. That is after the book has been placed with a publishing house. For one of my earlier books the illustrator made a blunder and I had to bear the brunt of it by changing one of my main characters. Fear of being trashed by critics on whose words hang our writing careers. (If a critic is having a bad day, the result is a bad review). Fear of readers disliking the book. I always worry about this one. first lot of books have gone into several reprints. Thank God for that. I suffer from quite a few of these fears. It varies at different stages of my writing. Sometimes I wonder how I am able to even write with so many fears surrounding me. But the urge to get my story out keeps me going. The vision of my books in a reader’s hands propels me forward. Do any of you have any such fears? Am I alone? Which fear or shall I say fears do you face or have faced in your writing journey. How do you capture these fears to write day in and day out. It will be of great help to each of us if you share your experiences.